Died young! 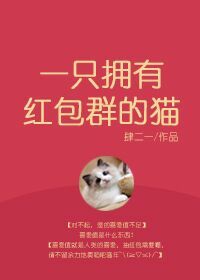 The second day after Xu Mao Mao rejected his blind date, he turned into that guy’s cat! I love how both MC and ML are clean! This novel is one of my favorites, especially how meng the MC is and the ML isn't the overbearing type. It's a cute novel and the ML isn't overbearing. The red envelope system is also a refreshing change from all the tranmigration novels I've been reading. Btw just to clear things up (since some rate this book based on translation quality), there are two translations. One is translated up to chap 94 by momochingu on wattpad but it's confusing since its google translate with minor editing. The other one is peony novel tl, the quality is definitely better but update is slower. The premise is promising, but I couldn't follow the translator's translations in the early chapters so had to pause my reading of this novel at chapter 7. Thanks translator for working on this novel, but I really had a hard time trying to understand what was going on because of the many mistakes grammatically and such. If it's possible, I'd highly recommend having someone edit the chapters to make it more readable. I'm really lucky to have found an English translation of this because I can't read Chinese. It's really adorable and fun to read, develops pretty well. At times it was a bit confusing for me, however the MC is really adorable and that makes it up more me. The translation quality is not bad, could do with so editing however it's still readable. Overall it's a really fluffy and cute read! I ended up MTLing this a while ago and really enjoyed it. I love stories that connect the characters together, it was really well thought out. I can't wait to enjoy it again when it's fully translated into English.